In large bowl, beat together honey, milk, eggs, cinnamon and salt. Dip bread slices in egg mixture, turning to coat. Brown soaked slices in butter over medium heat, turning once. 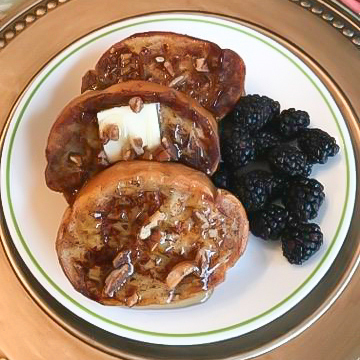 Serve with honey and sprinkle with pecans, if desired.